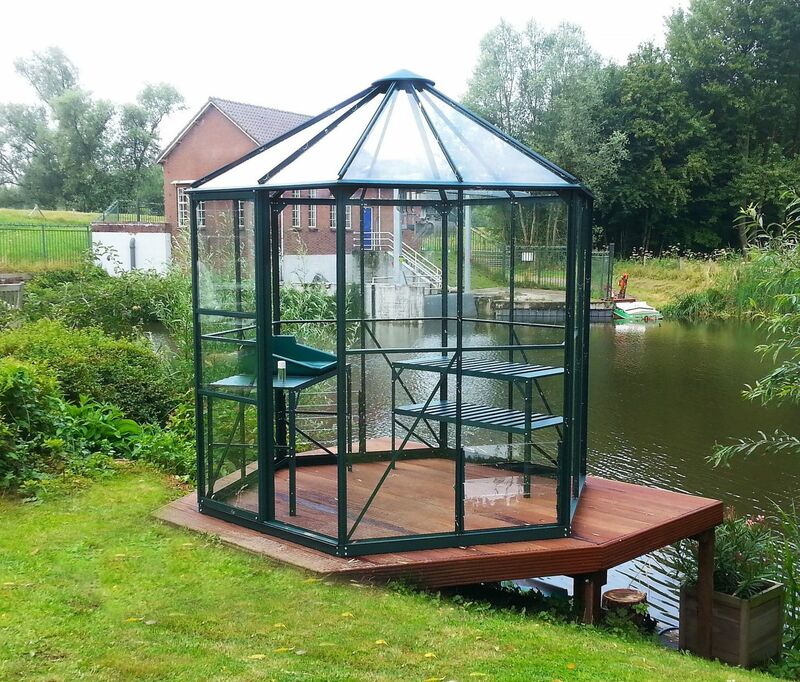 The green powder coated frame and optional base look great and protect the aluminium from weathering. Powder coating is a process where powdered paint is applied using an electrostatic charge to transfer the powder to the aluminium. The aluminium is then heated to 200 degrees centigrade in special ovens which melt the powder and fuse it to the surface of the aluminium. This gives a durable and smooth coating when solidified. 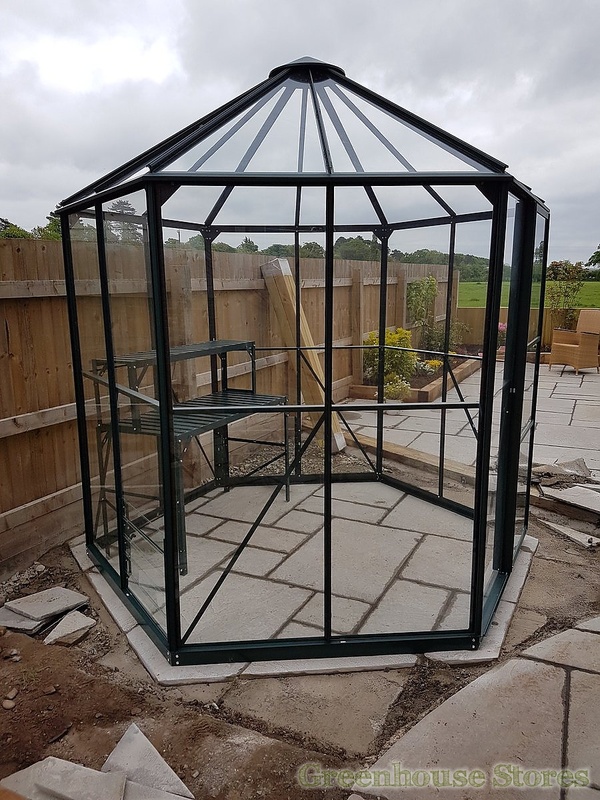 The powder coated frame or base now has a nice deep colour that is UV resistant with a life expectancy of over 25 years! 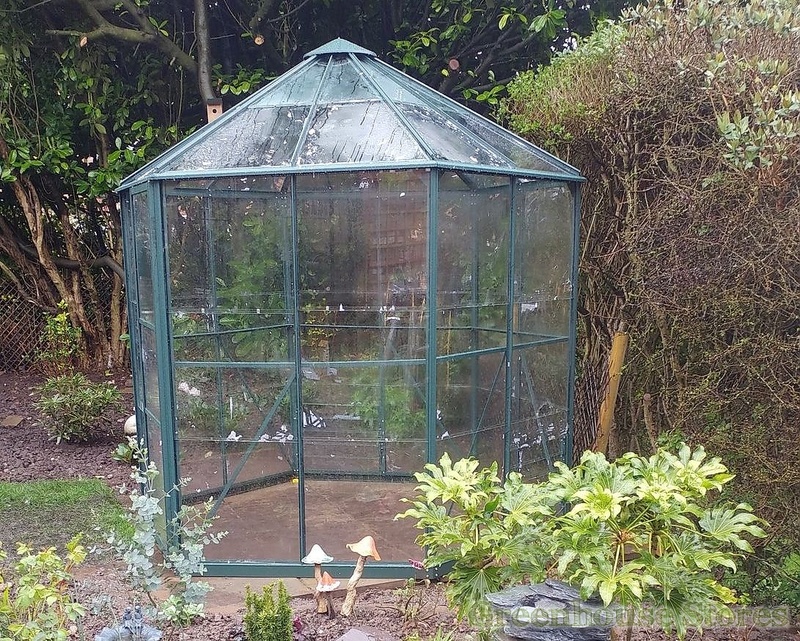 2.5m (8ft 4") Wide Aluminium Greenhouse - Spacious and Practical. 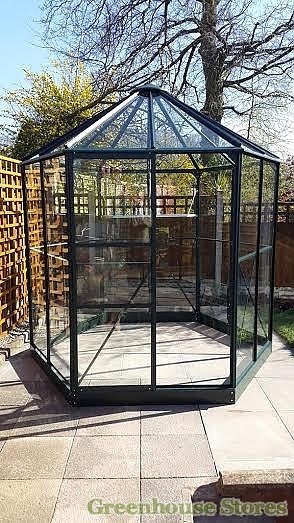 Powder Coated Green Aluminum Frame - Looks great and no rust. 2 Side Louvre Vents - For Ventilation. 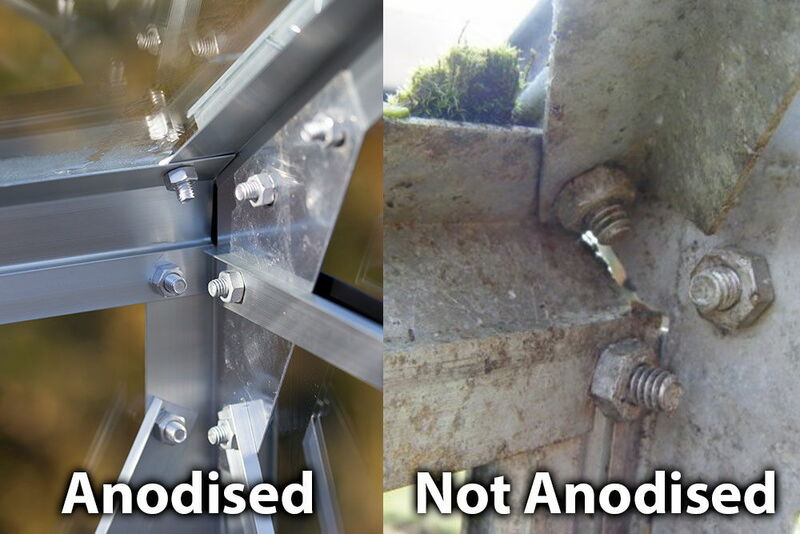 Extra Bracing - for strength in roof and corners. 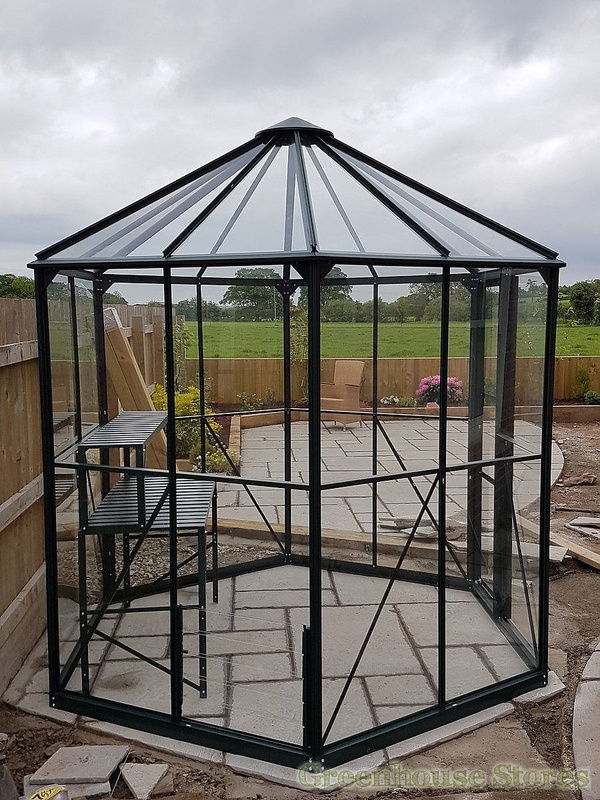 The 7ft x 8ft Vitavia Hera Hexagonal Greenhouse is a spacious and elegant structure with high eaves of 6ft and 4.5m2 of growing space. 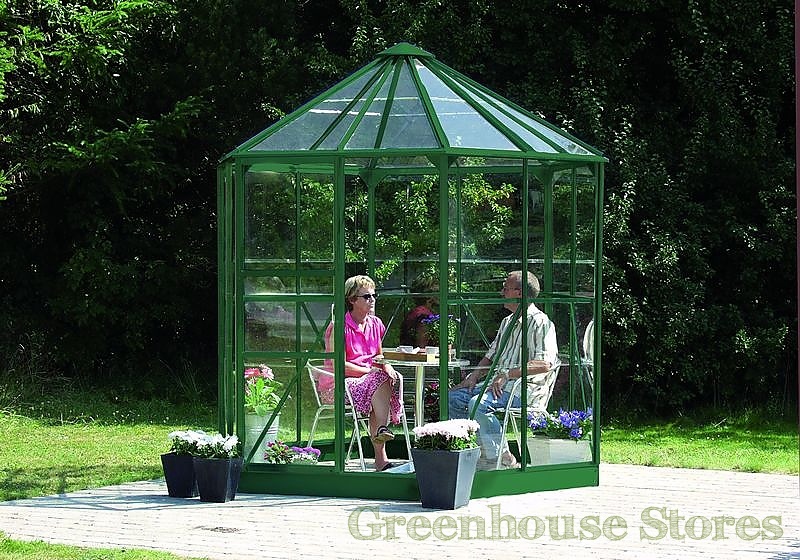 The Vitavia Hera Greenhouse is a superb model that is just as capable being used as a greenhouse or simply a lovely sunroom to relax in! This Hera has a 2 opening side vents for ventilation, a smooth sliding single door and stunning good looks to make your neighbours envious ! 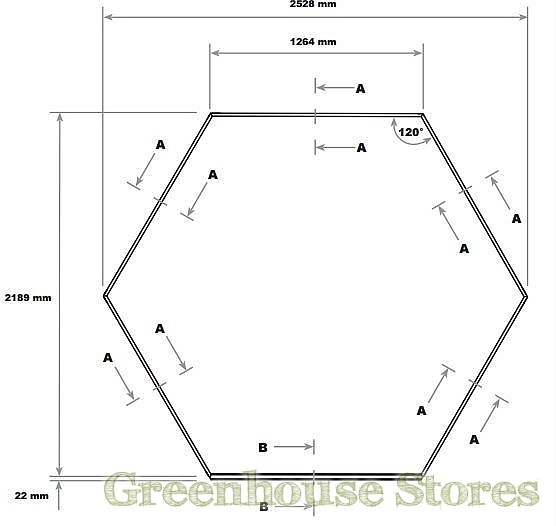 Manufactured specifically for the Hera, max of 3 will fit the greenhouse. 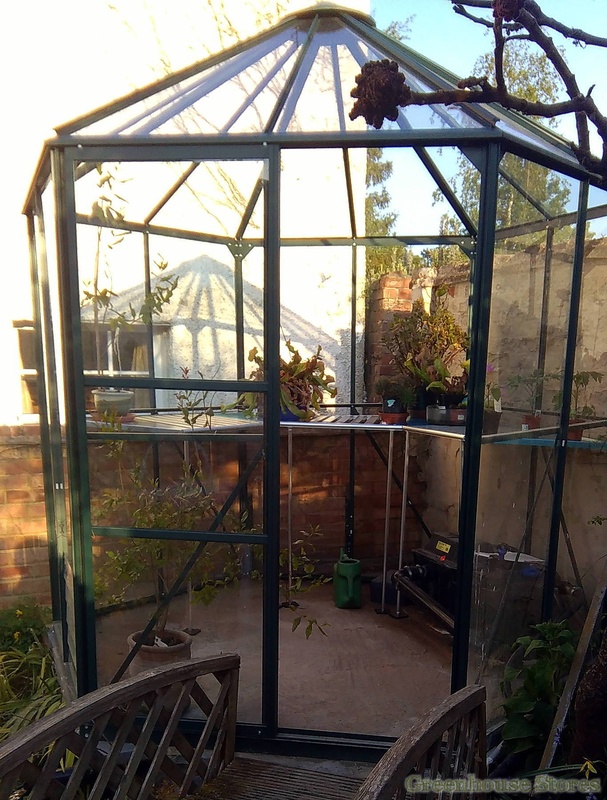 This handy little folding shelf will fit to the side of your Hera at eye level giving some useful high level storage space.Max of 3 will fit the greenhouse. 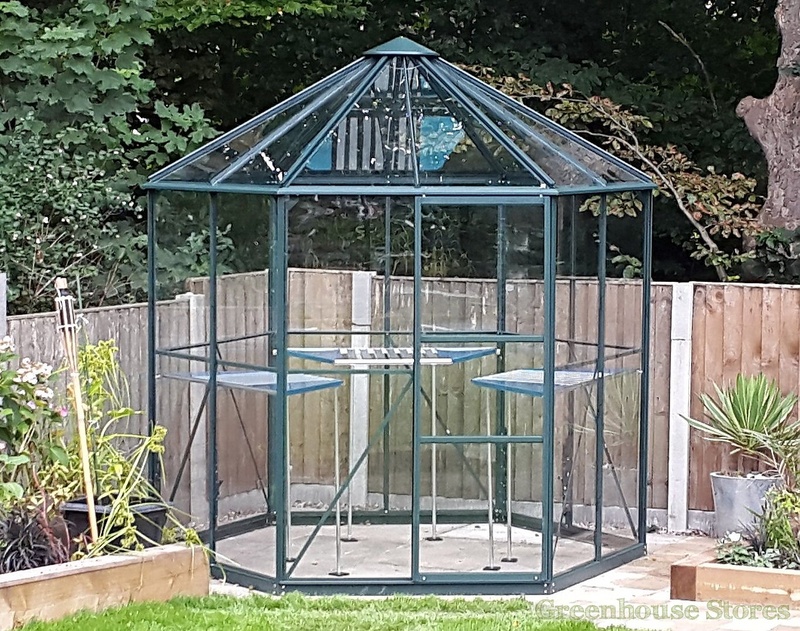 This 1 Tier Vitavia green greenhouse staging gives you a handy work surface and storage area. 1.2m(H) x 0.5m(D) x 0.75m(W). 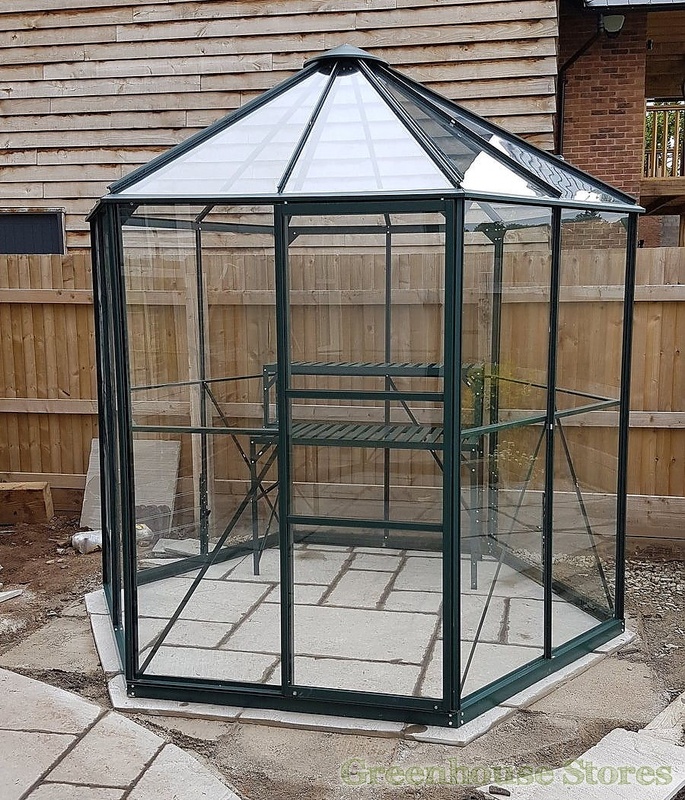 This 2 Tier Vitavia green greenhouse staging gives you a handy work surface with additional low level storage. 1.2m(H) x 0.5m(D) x 0.75m(W).